I am not fluent in Spanish. I wish that I was. Anyway, Pint Bottle Photography was on the scene of my acoustic show earlier this month (with Bobby Lee) and the filming of Gut Munchers this past weekend. Click on each image to see the entire galleries. On Friday, in downtown Montgomery, the undead will be alive and well… so to speak. Montgomery’s Zombie Walk and Zombie Prom will take place beginning at 7 p.m. It is a fundraiser for the Montgomery Area Food Bank. (Hey, sometimes you gotta try something besides brains.) Click here for details. Of course, as fun as that event sounds, I’m sure they wouldn’t be too offended if you skipped out just a tad early to head to the Blue Iguana in Prattville to see Hail the Titans, BPM and Breaking Aim & the Rhythm. Doors at 9 p.m. More details here. Also, in Montgomery, some friends are playing at Head on the Door that night – Birmingham punk rockers Skeptic? are playing with Kids On Coffee. Details here. So Friday is packed with stuff going on… what about Saturday, you ask? Eh… not sure. Good question, though. In other news, Hail the Titans was part of the September 2011 Nophi Recordings podcast titled “The Awesomnal Equinox.” Read about that here. This past weekend, filming for Gut Munchers began. There were zombies, “your mom” jokes, bloody wounds, brains, an ax, a knife, guns, chickens, goats, beer, liquor, camping, derby girls, a tractor and lots more. Here is a photo of some of the cast as taken by Lee Fuller, who was gracious enough to allow the use of his land for the film. Many thanks for the hospitality (and the coffee!). Be sure to click like on the Gut Munchers Facebook page for updates as the film progresses. I have heard of some things going on this week, but it seems to be slowing down. Maybe it’s because of the start of the South’s religious season – more popularly known as “football season.” But I’m looking for non-football-related events as I don’t really follow football (blasphemy, I know), so I won’t be yelling about a rolling eagle or tiger blood or… wait… that’s Charlie Sheen, isn’t it? I do know that the Spirit Family Reunion is making their way back to Montgomery. They’re performing at AlleyBAR tomorrow (Thursday) night, starting at 8 p.m. No cover, by the way. Details here. I haven’t seen them, but I’ve heard really good things. What I hear on their Facebook page sounds pretty good. Listen here. On Friday, Distant Kin is playing at the Tipping Point at the Hampstead area of Montgomery. Details here. Show starts at 7 p.m.The band features a couple of guys from BPM. That night at 10 p.m. Pseudo Nein is playing at Head on the Door with Destined. Details here. Pseudo Nein has been in the news recently for being a finalist in the Charter Battle of the Bands competition. The full teaser can be seen here. And photos from the teaser filming can be seen on the Pint Bottle Photography page here. It’s been a freakin’ week since my last post on this blog. I’m slipping! So… check out this Hail the Titans post to see what the band has been up to… basically, van problems. But we’re doing what we can to keep it moving. Next show is Sept. 30 in Prattville at the Blue Iguana with BPM and Breaking Aim and the Rhythm. 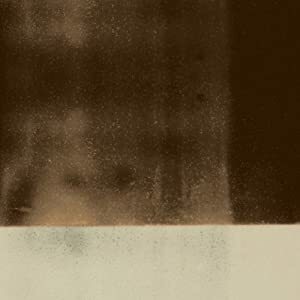 The new Thrice album “Major/Minor” is out today. I’m listening to it on Spotify right now. It’s really good. I will be generally for you to blogging and site-building i in fact adore your posts. The content includes essentially mountains our fascination. I’ll book mark your web blog and preserve checking for brand new information. My “content includes essentially mountains our fascination.” Glad I could help? This one relished my regular facts. Took me time to study all the feedback, but I seriously liked the submit. It proved to create into Pretty beneficial to me and Im positive to all the commenters correct here Its generally great for those who can not just be informed, but furthermore entertained Im specific you had enjoyable writing this submit. This person seriously liked the submit. In more general news, Pat Robertson is terrible. Nothing particularly new in that area. Just good information to remember. And your plans for this week are…? Wednesday (yes, tomorrow), Montgomery’s River Region Rollergirls are having an open recruitment night. Starts at 8 p.m. at Looney’s on McGehee Rd. So head that way and get your roller derby fix. On Friday, the rock show is at Head on the Door on Vaughn Rd. with Flip the Switch and Rowe. Details here. On Saturday, I recommend driving to Ocean Springs, Miss. to a great venue called The Squeaky Lizard to hear Hail the Titans (our first show there since the album release), Enjoy the Weather and In Elevators. Details here. I’m told that the show is all ages, and that it’s a costume party. Lately, I have not updated this blog as often as I did previously. I’m not sure of any particular reason as to why. I have been in a more contemplative state recently, I suppose. More thinking and writing musically and lyrically as opposed to writing conversationally. Yes, Hail the Titans is working on new material, and I am also writing for another solo album as well. However, while that stuff is in the works, I would be remiss if I didn’t tell you about some music that I think you should hear. Saturday, I got to see my friends in Jungol perform again. If you have not heard their albums or seen them live, you should. Along with being nice people, they are great musicians. Also, there are currently 5 days left in the Gut Munchers fundraiser. Click here for more info. And finally, The Guardian has posted an excerpt from Michael Moore’s new book “Here Comes Trouble.” It’s a good read. I’ll be brief. For once. My friends in Bearhead recorded their version of the Hum song “Ms. Lazarus” for a Hum tribute compilation. Get your $0.99 out on iTunes or Amazon. 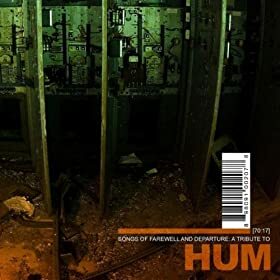 Ps – if you have not heard Hum before this post, they were awesome, and you should check out their albums to hear what you missed in the 1990s. Also, Mogwai (“Really, Josh? Another Mogwai post?” – The answer is “Yes” and you should be happy about it.) 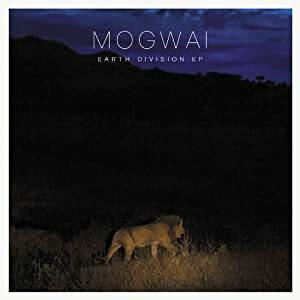 is releasing the “Earth Division” EP next week (Sept. 13). You can currently stream it on the Guardian’s website. Click here and enjoy. Firstly, the word “firstly” sounds weird. Secondly, thanks to everyone who came out to the acoustic show at Head on the Door last night. Bobby Lee sounded great, as usual. It was a fun show. Thirdly, I will quit numbering things at this point. Abandoned Pools is getting ready to release a new album. You can hear a couple of singles here.